Is it immoral to send your children to private school? The contest for leadership of the Scottish Labour party has re-opened an old debate: is it acceptable for egalitarians to send their children to private school? 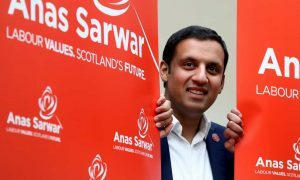 One candidate, Anas Sarwar, has come under criticism for sending his son to the £8,000 a year Hutchesons’ Grammar school in Glasgow. The row echoes similar controversies around left-wing figures, perhaps most prominently the Labour MP Diane Abbott, who claimed “it is inconsistent for someone who believes in a fairer and more egalitarian society to send their child to a fee-paying school”, and nonetheless opted to educate her son privately. Much of the philosophical discussion on this point on this point centres around the limits of legitimate parental partiality – that is, to what extent are parents morally permitted to advantage their children over others? However, I want to approach the question from a different angle, and explore the morality of private school from a consequentialist perspective. For a given individual, would rejecting private school in favour of the state sector have a positive impact on the world? This question is highly pertinent for paid-up consequentialists, not least because orthodox consequentialism denies that any parental partiality is morally acceptable. More importantly, consequentialist arguments are a common line of defence supposed hypocrites that reject private schooling in principle, but make use if it anyway: as Adam Swift puts it, “Sending your child to a poor state school might seriously harm him or her while doing little or nothing for social justice”. It is easy to see why refusing to go private might seem like a pointless self-sacrifice. After all, what difference is one family’s actions going to make to a well-entrenched system of educational inequality? On the other hand, if enough people turn against private schooling, such schools will be unable to attract enough students and will have to close down. Even before that point, we would expect the infusion of socially advantaged children from highly educationally motivated families to have an effect on the culture of state schools, creating a ripple of positive ‘peer effects’ that should benefit all. Shelly Kagan addresses problems of this sort in his article ‘Do I make a difference?’ He discusses a common objection to vegetarianism: “It makes no difference to the person running the butcher department whether or not I buy one of these chickens. The butcher is not paying close enough attention to know exactly how many chickens he has sold”. Just as any single family’s decision not to go to private school is unlikely to materially alter the school system, any individual vegetarian’s decision to avoid meat is unlikely to be registered by the butcher. However, Kagan points out that, logically, there must be a tipping point at which enough people have acted to trigger a change. Perhaps the butcher doesn’t respond to the first 24 chickens he fails to sell, but when the 25th sale is lost, they reduce their order from the farm. Similarly, it could be that the 10th defection from private to state sector is decisive, or the 20th or the 30th. Kagan’s argument suggests that if every 10 students makes an incremental difference to school culture, then every parent has a 1 in 10 chance of making a difference. Thus we cannot know in any given case whether opting for the state sector is futile. On the contrary, there is a non-negligible chance that it does some good. This argument may be less compelling in the case of school choice than in the case of vegetarianism. Firstly, the potential costs of missing out on private school seem greater than those of giving up meat. Secondly, in the case of schools it seems likely more people need to act, and so the chances of positive impact will be lower. (These are both speculative empirical claims). However, there are a couple of additional points to note. So far we’ve treated parents’ school choices as entirely independent of one another. Yet as Adam Swift points out, parents can coordinate and set examples for one another – refusing to go private and explaining this to friends and neighbours might convince them that it is the right decision for their children too. Of course, this point is particularly powerful in the case of prominent members of the community – not least politicians. Another thing to consider is the opportunity cost of private school fees – over £13,000 a year on average. It would take a relatively small proportion of this being redirected towards charitable or social causes to potentially tip the moral balance against private school. Would one person pulling their children out of private school do any good? Yes, there’s a reasonable chance it would.